In partnership with the UCSF Library and effective Wednesday, July 27, 2016, Documents & Media has moved its DM Service Center from Millberry Union (500 Parnassus Ave., Room 10E, P-8 Level) to its new location next door inside the Kalmanovitz Library (530 Parnassus Ave.) in Room 327 on the 3rd Floor. 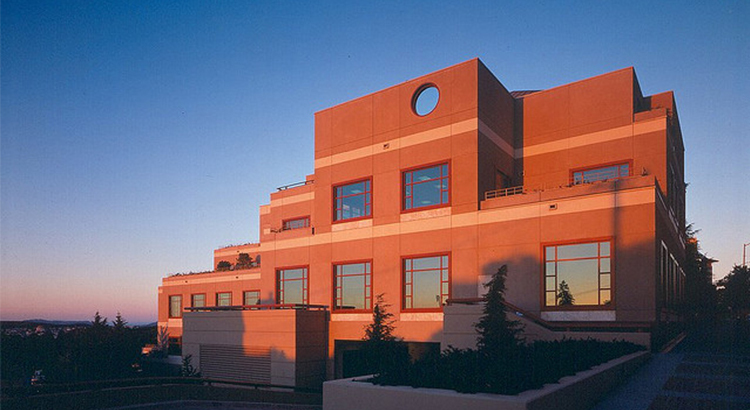 The main entrance to the Library is west of Millberry Union, at 530 Parnassus Avenue. The entrance is on the 3rd Floor as you enter the building directly from Parnassus Avenue. Once inside the Library, Room 327 is the former Cashier’s Window/Office, located left as you enter the Library, across from the Main Desk near the west windows. Effective July 1, 2016, the Library’s public print/copy operation was turned over to DM to manage on behalf of the Library. As the overall usage of the system has declined dramatically over the past decade, it no longer makes financial sense for the Library to run the operation themselves. DM already provides similar services to much of UCSF & UC Berkeley, plus DM directly manages printing & copying for all of the UC Berkeley Library, as well as the UC Hastings Library along with the College’s department printing as well. Because of the large scale of DM’s operation, DM will be able to provide more consistent service and a lower cost to UCSF Library patrons. The UCSF Print Management Program team will support Library printing devices for patrons, and Judy Flannery from the current Millberry Union DM location has relocated to Room 327 in the Library to support walk-in and will call pick-up customers. Student readers will now be available for pick-up at this new location along with self-service student organization copying, as previously available at the Millberry Union location. Open Monday through Friday 8:00 a.m. to 4:30 p.m. Except University holidays. Fees for Library services and products can now be paid at the DM Service Center during regular business hours. •	MasterCard, VISA, AMEX, Discover, and debit cards. Minimum charge $5. *If reimbursement is sought from a federal fund source, the customer accepts full responsibility that such costs are allowable under federal policy. For more information please call the DM Service Center at 415-476-5725 during regular business hours.